Below please find a 13F analysis report for Berkshire Hathaway for Q1 2009. 13F analyses are reports that fund managers with over $100M are required to submit to the SEC, they are publicly available and these reports provide us with some insights on what some hedge fund managers have been investing in. Berkshire Hathaway is a publicly traded holding company owning subsidiaries engaged in a number of diverse business activities. 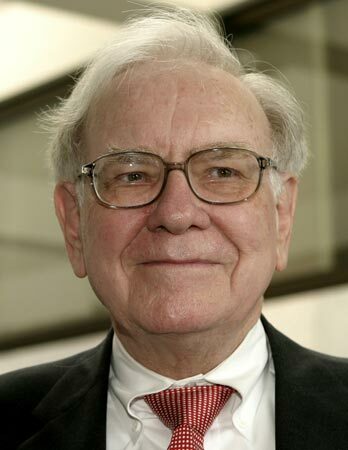 The company Chairman and CEO is Warren Buffet, one of the most highly regarded managers and investors in the world. Headquartered in Omaha, Nebraska, the company’s invested assets derive from shareholder capital as well as funds provided from policyholders through insurance and reinsurance businesses (“float”). Using the TickerSpy portfolio analysis tool the graph to the left was created showing the approximate Berkshire Hathaway's equity performance for over the previous six months. According to this analysis Berkshire Hathaway's equity picks have been outperforming against the S & P 500 recently. The top 5 highest performing equities which Berkshire Hathaway held as of this 13F filing include (AXP), (BAC), (GCI), (IR) and (NRG). According to AlpaClone data on Berkshire Hathaway 20% of their equity portfolio is invested within the financial sector ,13% in transportation sector. The total equity value of Berkshire Hathaway is 40B+, their total number of reported holdings is 41, and over 84.6% of the market value of this portfolio is represented within the top 10 holdings.